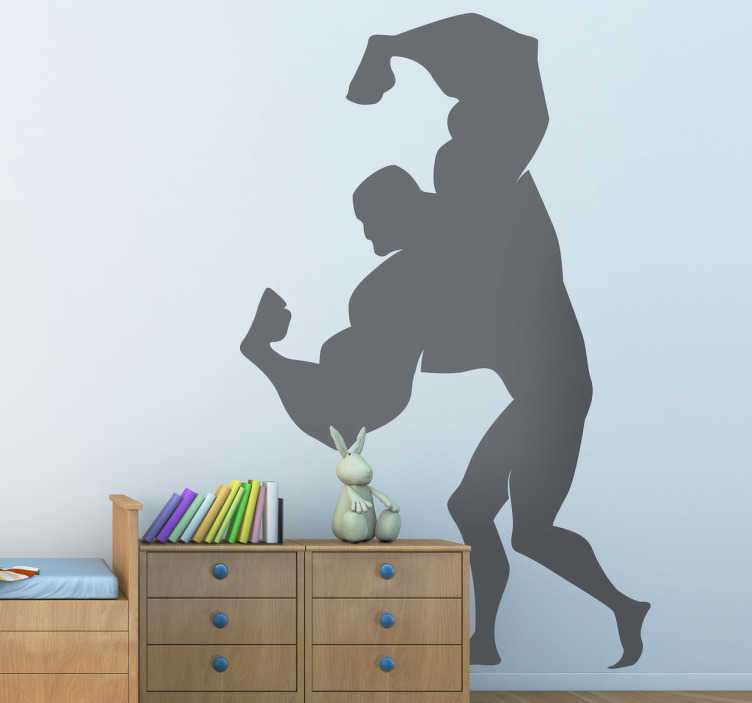 Kids Wall Stickers - Comic style silhouette illustration of a strong male character with big muscle biceps. Ideal for decorating areas for children. Available in various sizes and in 50 colours. Made from high quality vinyl, easy to apply and remove. Also suitable for personalising appliances, devices and more.